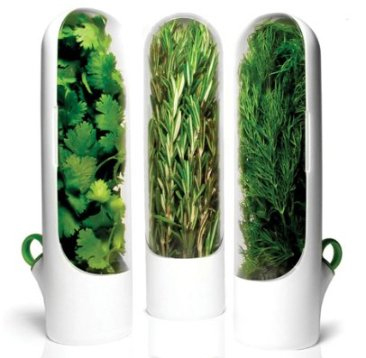 Fresh herbs go a long way in brightening up a meal. Unfortunately, they do not go a long way sitting around waiting to be used. That is, until herb keepers came along. Some people wrap their herbs in wet paper towels, some keep them out on the counter, and then others look to the refrigerator door for inspiration (or at least storage). 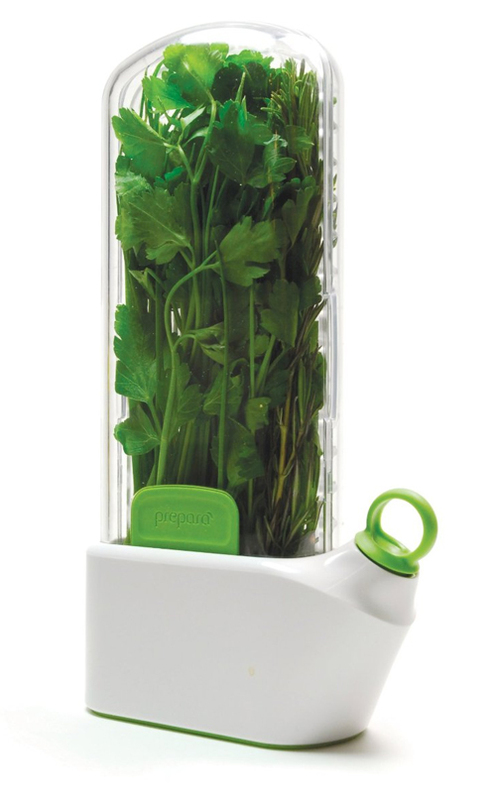 The latest to come along is the Trudeau Fresh Herb Saver . 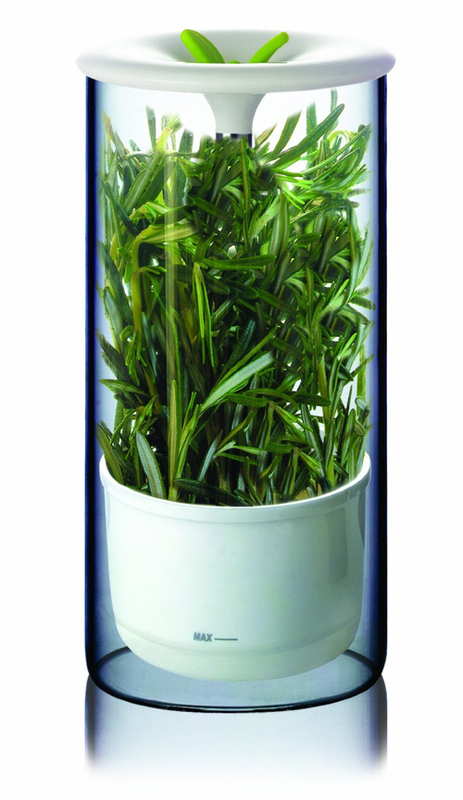 Storing fresh herbs and/or asparagus upright, the storage solution calls for a little bit of water to be stored in its base. This model features a small window that makes it easy to see the water level. 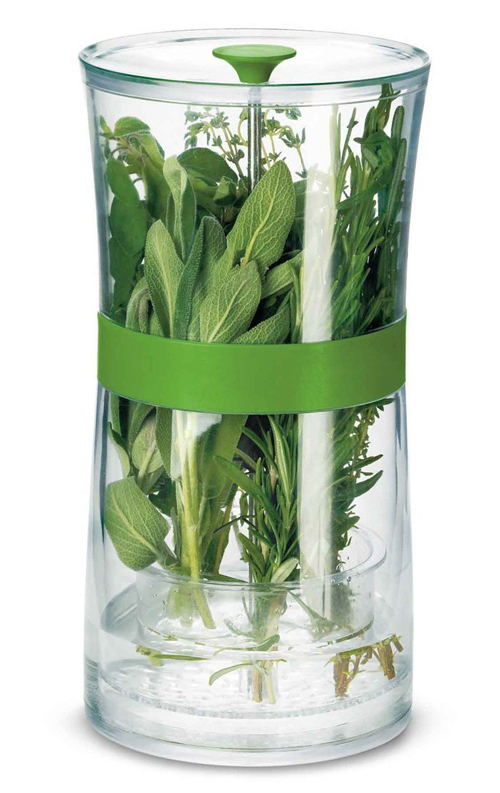 Opting for affordability and simplicity this herb saver (like its competition) keeps things basic and easy to use. Which is exactly what you want to find when looking for some herbs. Previously highlighted. See: Herbs stand up to be counted. Although affordable at about ten bucks a pop, the reviews tend to say that they are hard to open. This one has the capability of being able to be refilled with water by simply pouring it in through the top. Also, it is made of glass. 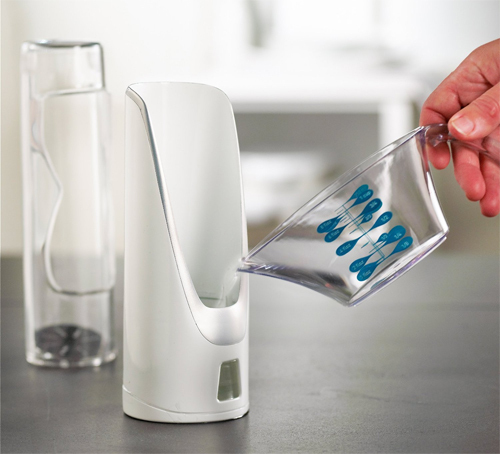 Different than the Prepara pods seen above in that it is clear all the way around. Also, it is one of Oprah’s Favorite Things from 2010.